No visit to London is complete without seeing the major sights, and Big Ben and the Houses of Parliament fall squarely into this category. Revered around the world as a symbol of parliamentary democracy – indeed, it’s where this style of government began – the Houses of Parliament are not just beautiful, they’re an important part of British and world history. Similarly, Big Ben is more than just a very nice-looking clock. It has a rich history and is one of the most iconic buildings in the world. Staying at the Grand Park London Paddington, you’re in the ideal spot to see and explore both. A short hop from hotels in Paddington, the area of Westminster is just across the Thames and there are a few ways to get there. The quickest route is to jump on at Paddington Underground Station and take it right to Westminster Station. This will only take about 15 minutes and puts you right in the heart of Westminster. Alternatively, if you want to stretch your legs and see some of the capital, walking will take about 50 minutes. It’s a very picturesque stroll so well worth it on a nice day. It’s entirely possible to make your way from the Grand Park London Paddington by picking a route through Hyde and Green Park, then walking alongside the beautiful St James’s Park – and you’ll get to see Westminster Abbey on your journey. If you do decide to take the Tube, the first thing you’ll see upon stepping out of Westminster Station is Big Ben. Standing 96-metres tall and sporting neo-gothic design, it’s quite hard to miss. Standing at the base of the nearly 200-year old tower, it’s hard not to be overawed by the beauty and scale of this magnificent structure. It’s important to note that the tower we see now was built as part of the reconstructed Palace of Westminster (another name for the Houses of Parliament) after a devastating fire gutted the area in 1834. 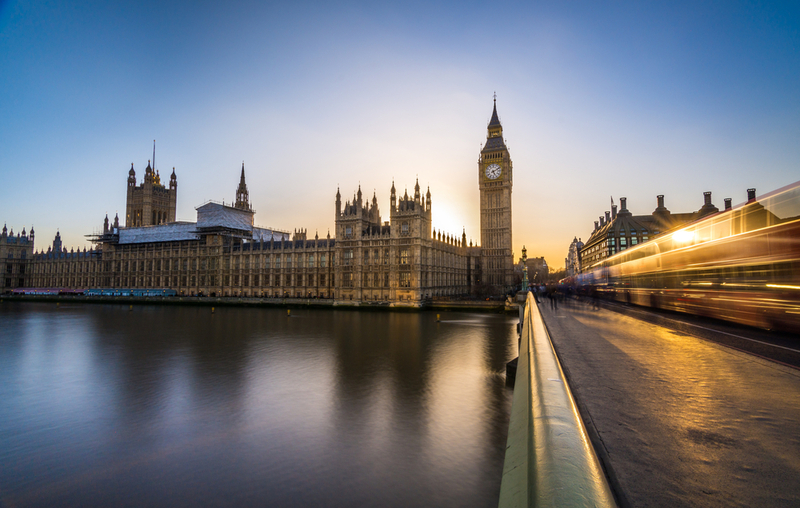 Creating a new, improved and imposing home for the Lords and MPs of Britain, visionary architect Augustus Pugin oversaw the design and planning of the tower and clock, with work finishing in 1859 and remaining precisely the same today. Happily, the Houses of Parliament is only a one-minute walk from the site of Big Ben, so it’s easy to combine seeing the two into one visit. Buttressed against the Thames, the Houses of Parliament is a dominating and beautiful sight and it’s always a kick to know the political business of the UK is going on while you take it all in. And you’ve only got a short journey back to the many Montcalm hotels in Paddington after a day of sightseeing. If you want to do more than admire the architecture, there are regular tours of the Houses of Parliament. There are self-guided audio tours, guided options, tours with afternoon tea and tours that cover the art of the Houses of Parliament. It’s a popular sight, so be sure what you want to do and book ahead of time. Share the post "Your Guide to Exploring Big Ben and the Houses of Parliament"
This entry was posted in London Attraction, London Travel Guide and tagged Grand Park London Paddington, hotels in Paddington, Houses of Parliament. Bookmark the permalink.